After my last post on New Year's arthritis diets, I wanted to post one of my favourite recipe make-overs - Shepherds' (lamb) or Cottage (beef) Pie. Traditionally, the recipe was to use up leftovers from the weekend roast but many 'chef' versions today are anything but frugal and are often filled with not-so-arthritis friendly ingredients like double cream. My version is packed full of vegetables and much lower in saturated fat but still tastes rich and comforting. This isn't an easy recipe to make if you have bad arthritis in your hands, wrists or arms. My top tips are to use a food processor to chop the vegetables and soften the celeriac before cutting it by giving it a 4 minute blast in the microwave. Top and tail the carrots (peel them if they have very thick skins). Put the onion, celery, mushrooms and carrots in a food processor and pulse until finely chopped. Heat a tablespoon of olive oil in a large frying pan and tip in the chopped vegetables. Cook on a medium heat, stirring occasionally, until the vegetables are softened. Add the mince and cook for a further 10 minutes. Crumble in the stock cube and red wine, and stir. Leave to simmer on a low heat for 10 minutes then tip out into a medium, oven-proof dish. Spread into an even layer and leave to one side whilst you prepare the mash. Peel and slice the celeriac into medium-sized chunks. Do the same with the potato. Put in a large pan and cover with boiling water. Simmer for 20-25 minutes or until the vegetables are soft. Drain and then return the vegetables to the pan. Add the milk. Mash the celeriac and potato, either by hand or using a blender, food processor or electric whisk. Season to taste. Spread this mash mixture on top of the prepared mince. Fork the top into attractive lines and drizzle with a little olive oil. 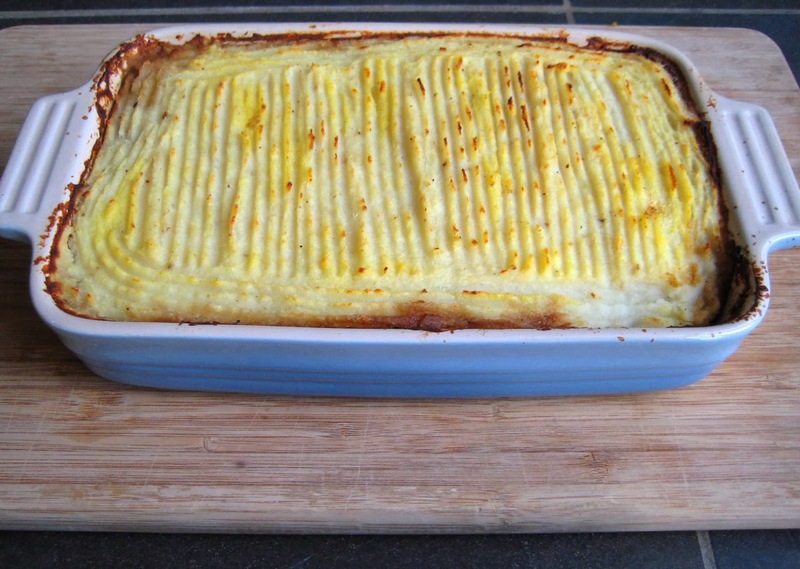 Bake the cottage pie for 25-30 minutes at 180C/375F or until the top is golden brown. Allow to rest for 5 minutes and then serve. Red meat can be an important source of iron for people with arthritis. Anaemia is common in sufferers due to both the inflammation caused by the disease and the side-effects of non steroidal anti-inflammatory drugs. Choose the leanest cuts you can find to reduce the levels of unhealthy saturated fat and always eat it alongside plenty of vitamin-rich vegetables to help your body absorb the iron. A very belated Happy New Year to you all. Almost every magazine, website and paper I have encountered in 2014 has been full of some crazy new diet for arthritis or weight loss - from cutting out sugar to fasting, going vegan to strictly paleo. I will post about the various risks and benefits of all these diet regimes for those of us with arthritis but before I do I wanted to revisit 2013. This is the most read post on the whole website. Gluten free and the FODMAP diet were both big diet trends in 2013 but I like this as simply just a good, easy cookie recipe that you can make even on a bad arthritis day. A lovely quick and easy arthritis friendly dish packed with anti-inflammatory spices and omega 3 fish oil. If you are looking for a healthy supper you can't go wrong with this. Despite the shocking photo, my lasagna recipe was very popular. I like to make this when we have guests as it looks impressive but doesn't stress my arthritis-ridden hands too much. Anyone with arthritis knows that 'my battery has run flat' feeling. I wrote about how your diet can help or hinder your fatigue levels. 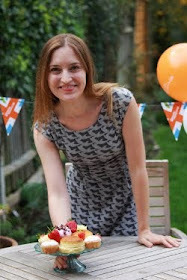 I only wrote this post in November but perhaps as a result of people looking for New Year's diet plans it's quickly hit the favourite posts list. If there is anything you'd like to see me cover in 2014, let me know.